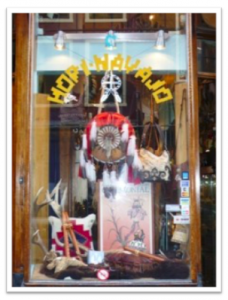 HOPI NAVAJO: is a very special and well-known to the in-crowd of The Hague native Indians shop and will reach his 23 year in June 2018! Attention open on Sunday starting May 12 all Summer open 12am till 5pm!! we (Max & Marcel, owners of the shop) came up with this idea now more than 23 years ago. We travelled all the area which covers the southwest up to Alaska. During our impressive journeys, our first contacts were with the Hopi and Navajo Indians; see there the born of the name for our shop! 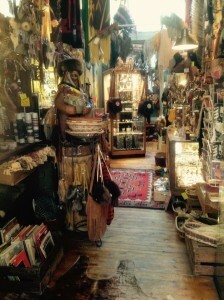 Our Indian shop is often compared with a little museum, this also because of our special items which date from the early 1900’s; among which an old war shirt which was actually worn by the native Indians. 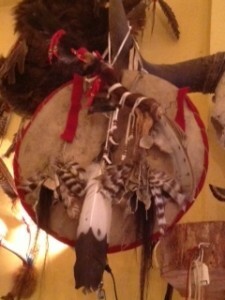 The war bonnet (over 70 years old) of an Canadian Indian is also one of the eye-catchers. 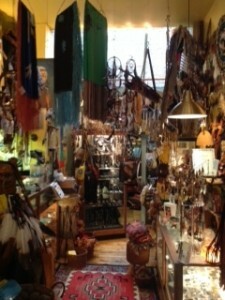 Clients whom are into shamanism and other spiritual matters are also very welcome at our shop. We also sell loose parts to make your own favorite pieces for example power shields, medicine wheels, smudge feathers and so much more. We will do our outmost best to make your visit worthwhile, so hope to see (and talk to you) soon at Hopi Navajo!